Prince William, Kate Middleton, and Prince Harry hosted President Barack Obama and First Lady Michelle Obama of the United States for an informal dinner at Kensington Palace Apartment 1A – William and Kate’s personal apartment – last night, April 22. Prince George got to meet his very first US President. 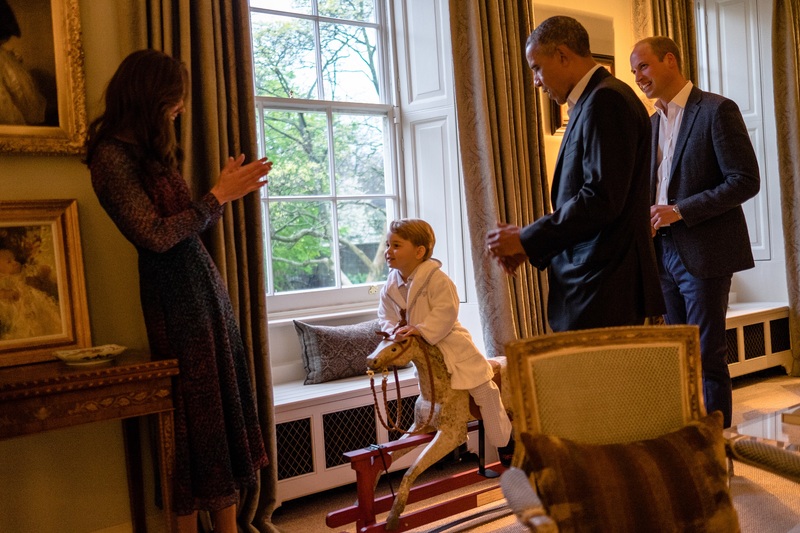 Little Prince George met POTUS in his pajamas and personalized bathrobe – like a boss – before taking a ride on a rocking horse which the Obamas gave to him when he was born. 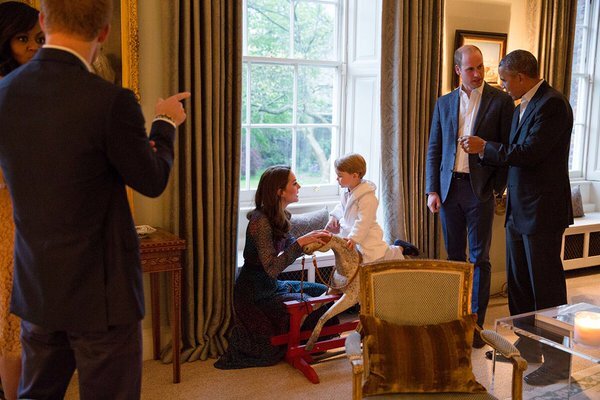 George was allowed to stay up a few extra minutes in order to meet the Obamas and show off his rocking horse riding skills, but Princess Charlotte was already in bed and asleep when they arrived. The Presidential couple arrived outside Apartment 1A at 7:15 PM London time (which means the Cambridge kids go to bed super early – for me anyway) and were greeted by the Duke and Duchess of Cambridge and Prince Harry. POTUS and FLOTUS are in the UK for official reasons, and had lunch with the Queen in Windsor earlier in the day, but William decided to invite them to dinner because the fivesome have become so close over the years, according to a KP spokesman. Harry showed that “close relationship” the most, obvs. William and Kate greeted Obama and Michelle with mere handshakes, but Harry greeted Michelle with a kiss on the cheek. Here’s a photo of the greeting in which we can see the door to Apartment 1A and just how massive William and Kate’s £4.5 million, barely-used apartment-in-a-palace is. 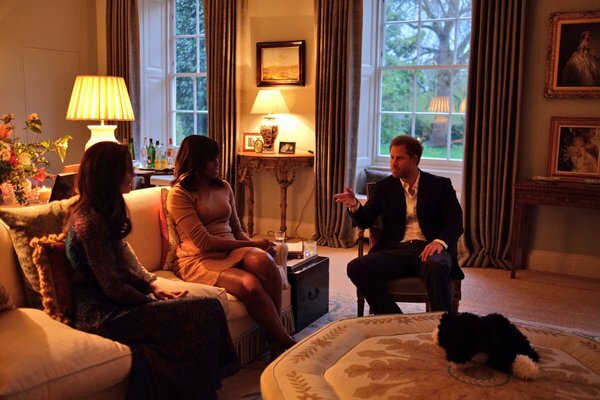 The Cambridges, Obamas, and Harry sat around in the Drawing Room of Apartment 1A to chat and have their photos taken. The stuffed dog sitting on the ottoman in the middle of the room is a toy replica of the Obamas’ Portuguese water dog, Bo. The dog, like the rocking horse was a gift to George from the Obamas. How much to you want to bet that George had never played with that toy dog or that rocking horse before last night? Because that’s what you do with (most) gifts you didn’t specifically ask for: you put them away until you see the gift-giver again and that’s when you pull out their gift in order to make them feel better because they see you using it. But you rarely actually use it. I’m totally going to comment on the Cambridges’ decorating style, because I’m “judgmental, jealous, spiteful and mean to the bone” (thanks anonymous a-hole who actually did to me what you accused me of doing to the royals, I appreciate it. Maybe next time instead of taking half an hour to write a nasty essay to me, you just ignore me and move on with your super awesome, interesting life. 😉 ). The Cambridges’ Drawing Room is museum-esque. I was going to say it looks old, like my grandparent’s house, but my grandparent’s looked way more lived in than this. So museum-esque it is. I do love that ottoman thing, though. This photo op with POTUS was the first time that the Cambridges have undertaken an official engagement inside their apartment – one of the reasons given that William and Kate needed the biggest one was that they would be doing many of these types of events, but this is the first – although aides said the couple have done television interviews and posed for photoshoots in their official residence (William has recorded video messages in the apartment and the Cambs did their 2014 Mother’s Day photoshoot out of one of the windows). The press reception to the White House getting more access than British press, complete with photos of George, was not super favorable. Kate wore a new dress: LK Bennett “Addison Printed Silk Dress” (£325.00). 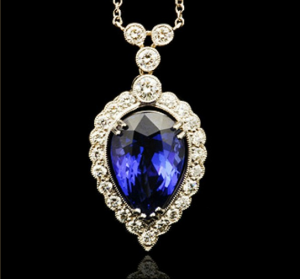 She also wore her G.Collins & Sons Tanzanite & Diamond Pendant and G.Collins & Sons Tanzanite & Diamond Drop Earrings she debuted at the Service of Commemoration in March 2015. She wore her Rupert Sanderson Malory pumps in navy suede again. Oh, and William, Kate, and Harry attended a private dinner on Thursday for HM’s birthday. Here’s a photo of them leaving KP. It looks like Kate is wearing a new green lace dress. I have been experiencing problems the last several days with the website. In the middle of the week it kept going down with a database error, and Thursday night I isolated the problem of that error. In order to fix it I had to create a whole new server and database, and then import a backup of my files over in order save the content. That caused a whole new set of problems, most notably for you guys the blog and comment email problem. I was able to locate the source of that problem and fixed it by getting yet another new server (this time it was easier, though). So now all of the problems are fixed (I think) and everything is fine (I hope). Because of the email problem I was having, if you got a whole slew of emails earlier this morning, I am very sorry about that. The emails backed up in sending and then when the server got fixed, the plugin sent all the emails it had backed up. Everything should be fine now. Thank you guys for bearing with me through the last several days. Oh, and be sure to check out Prince Carl Philip and Princess Sofia’s son, Prince Alexander’s, first photo. The Te Deum photos are in there, too. Love the pictures of George with the Obamas and it is nice to finally see the palace. The White House photographer is great- He captures expressions perfectly, as I’ve seen with the popular “Obama and kids” feed. Interesting how he got access when the British press don’t, I assume it’s because William sees it as a historic moment for his son to meet the US president so he was more lenient? I don’t mind the “old” look, it’s a BRF palace after all, and I prefer this light, spring look compared to the dreary background in the queen’s photos with the children. Kate’s dress though – sigh, one look and we know she’s back in the UK. It’s rather dull. Still, a really enjoyable event – I do believe the Obamas are quite fond of the family, and I’m glad Harry got to participate as the Invictus Games are truly a shining example of British American relations. I think it’s more that a non-Head of State royal can’t really go around dictating how a Head of State from a foreign country operates. Obama always has a photographer with him, as does Michelle I think. I don’t think William is in a position to tell Obama he can’t have his photographer with him. I find that hilarious in a very sarcastic way since they completely ignored the King of Buthan with respect to photographs. I know that impacted mainly British press, but still. Kate looks very out of place. In the pictures in front of KP she is on the end next to Will, but everyone but her is leaning in toward the Obamas. She is almost leaning in the opposite direction. The pics with FLOTUS show that she has a sweet relationship with Harry. Wonder what Kate added to the conversation between the two of them. I have to admit that while FLOTUS had way more style going on,her dress was too short. I wish it came to her knees when she sat down. Kate can make anything look frumpy and the times out of date. I saw a beautiful pic of her dress on the model. No belt, silver or gold shoes, no jewelry. Kate,dark pumps which cut the flow of the dress,a necklace that does nothing but again ruin the flow,and a dark,heavy belt over a silk dress. Who does this to what’s think is actually a lovely dress?? Hair needed to be up. She took what looks like an airy flowing dress and made it look like something you would wear in the winter. The staging of the room and everyone cracked me up. Yes, all was staged. They trotted out George for his performance in that twee outfit. The “intimate” moment was captured by an official photographer. They could have said “no” to the Obamas if they’re so freaking paranoid about protecting their children’s privacy, but suddenly they’re selective in that paranoia. And lastly, that apartment is a mish mash of stuff, bland and lacking any sort of cohesion. Poor George. Forced to “work” at bedtime. In PJs and fancy robe no less! Sooo, George is basically an accessory??? He looks somewhat ridiculous all dressed up in buttoned up pyjamas* and custom bathrobe. I find it a bit disturbing that a 2.5 year old boy has (a whole closetful?) of custom clothing? If he’s getting the best of everything at that age…does he even appreciate it? * To be fair, I put my son (2 weeks younger than George) in what I call “Grandpa pyjamas” – pants and a button-up shirt. It is really adorable! May I ask what was the reason for this meeting? What is the purpose of an head of state, a really mighty person with his really diligent wife comes to a heure bléue at the Windsor/Middletons ( the heirs to the heir). A personality that had to fight for everything and all his achievments – what are they talking about, is Obama really taking William serious?? To me it looks like a real cooool teacher comes to visit the party of some rich kids. In the end Obama used them for some good PR before he leaves Oval Office. I like Obama and his wife a lot, but why not meet Charles, Camilla or the Queen or did he? And then afterwards the silver spooned kids? .. except for Harry- he seems straight forward and committed with his projects. He had lunch with the Queen at Windsor – the photos are great, they arrived in their huge helicopters and the Queen and Philip met them and the four of them drove to the castle in a Range Rover. Not sure why they had dinner with the younger ones – FLOTUS and Harry have the Invictus link. As you say good PR for POTUS before he leaves office. Their carefully staged drawing room included only publicly available photos of Diana, William and both Middleton parents. No Charles, no Camilla, no Windsors at all. What you leave out can be just as telling as what you include, William dear boy. He can say he’s not a reluctant Royal, but his actions are to exclude Windsors from his private world. George was cute, sure. Did we need to see a future King in a dressing gown? I think.not. Extraordinary. WK must be increasingly desperate for positive PR. I can’t see the pictures on the piano, so maybe there are some pictures there from the Christening or the four generation photo? I think this formal room is not used much privately, so William would be very hesitant to have any truly private photos taken by family members or himself on display. We know Harry sees George, as on the Queen at 90 video he is the one who recognizes his father’s walk to be identical to George and he’s mentioned George riding his toy car on Kensington grounds. I personally think William is simply paranoid about the press, and so he avoids promoting anything Royal if he can help it. He has accepted his role, perhaps, but certainly has not embraced it. He seems to want to push it into the future where then he will deal with it. Personally, I think that’s poor planning at best. Harry doesn’t have to interact with George to know his walk or see him riding his toy car- he only has to look out his window. Amazing how there is not one single photo of Harry interacting with George. Nor a photo here of George running up to Uncle Harry and them hugging, especially since Harry is such a hugger and child crazy. You can tell by the program *The Queen at 90*, that Prince Harry is very observant. Will of course, was his normal self. Remember the comment about Harry in the christening gown? It was something along the lines of how you couldn’t tell if infant Harry was a boy or a girl. I wished Harry would have reminded Will, it was the same christening gown he wore the previous 1.5 or 2 years or so earlier, and that Prince George wore a replica of the same. I would imagine after a lifetime of putting up with Will and his awful humor, he gave up listening to 95% of his comments a long time ago. There actually is one picture of Harry interacting with George at the polo last year. If you look on the instagram @good_king_harry you can see it. You might have to scroll a bit. Harry looks rather annoyed in the photo. I posted a link waaaaaay down at the bottom of a DM article that commented on the photos. No Windsors. One of Diana and one of the Middletons. If I were Charles or HM I would be pissed. I think it’s really odd that they had a framed photo of Kate at Peter’s wedding. A photo that was taken by the press photographer that was there and not a personal photo. That seems odd to me. Why chose that photo to have sitting around the Drawing Room? All the photos looked like they had been cut from a Hello magazine. Zero private images, which is fair enough in a drawing room. But they’re a telling choice. Maybe it’s because I’m not British, or not rich, but I would think the formal room would have some personal photo especially since it’s the formal room. The formal room wouldn’t have the type of personal photos you’d use in your bedroom or in other informal settings, but in every formal room I’ve ever been in there were really nice portraits of the family at various occasions. I don’t know, but the choice of that particular photo of Kate is an odd one to me because it’s so… Not formal but not private either. Like, why use neither a personal photo nor a professional portrait? and I’m thinking, ‘why have a picture of yourself looking like that? To remind yourself of how hot you once were?’ I personally have framed photos of myself *with* friends and family! Very odd, IMO. Also, Kate flat-out doesn’t look well at all. The dress isn’t flattering and only emphasizes how thin she is. Plus, there is no way I would’ve known she was wearing earrings and a necklace if you hadn’t posted about it, KMR, so thanks! I wish she’d worn something purple or from the purple family to bring out the sparkle in the jewelry! Well, why would you have anything but personally-taken photos with personal meaning in your home in the first place? It’s just ridiculous to display press photos (for want of a better term) for the sake of privacy. Replace the photos with something ornamental if it’s that much of a concern. I found the entire scene to be odd. Nothing natural or normal about it. I think George is very cute but agree that he could have been dressed and not in his pajamas. They are really looking for good PR. One comment I read referred to Prince George as “A miniature Hugh Hefner”. I have been trying to get that image out of my head all day. May that never ever happen. Ugh to Hugh Hefner! With its similarity to a smoking jacket, George looks like the most interesting prince in the world. 😉 And maybe it’s me, but I dislike having those liquor bottles sitting out in plain view on what could be an antique tea table. That just puts me off. Wasn’t there an equally appropriate cabinet those could have been stored in out of sight? And that stuffed toy on the ottoman; so strategically placed and included in the pictures. It gives off a “the children use this room to play” kind of vibe, although I know it was trotted out along with the rocking horse for the Obamas. I am sure the drinks were out for serving the guests, but not normally on display. I have not been able to enlarge pictures so as to look at the photos…. Yes, I realize that the purpose of leaving the bottles out was to serve the guests, but I think having them in an enclosed cabinet and opening it to serve drinks would have looked better than crowding the bottles on a makeshift tea table. But that’s just how I look at it. Oh thanks for the visual Tanya! All of them, including his parents?! Sorry Cathy LOL. Once I saw it, I could not un see it LOL. Yep Jen, George is looking at Kate like my four year old looks at strangers. I don’t care what the sugars say, if Kate is a hand on Mum then I am a Monkeys Uncle. OMG, I can’t get over this!!!! For some reason, I had an image of an old British man with a tobacco pipe in his mouth. There has been a flurry of articles about the Cambridge’s post-India, haven’t there? Perhaps William has been read the riot act; seems like they are damage-control mode: several engagements, interview, and wheeling in the big gun: George, poor little fellow, looking rather confused at meeting POTUS and FLOTUS. KMR, I wondered about the rocking-horse and fluffy dog too, although both are lovely gifts. I wondered why the rocking-horse in particular was not at Anmer, their principal residence? The living room looks comfortable, very traditional, but nothing exceptional in the way of decor. I snickered at the text regarding the baby grand piano being there for ‘decorative purposes’ ie as a display for photos. How gauche. And why would the rocking horse toy be in the formal Drawing Room? Why not in the children’s playroom? It was clearly put there for staging purposes. This is the formal drawing room, so it’s likely to be the only room Press are ever invited into. I think that’s fair enough bringing the Obamas gifts into the room for the images. That part of the staging is understandable – if I was Kate (ohhhhhh if I was Kate!) I wouldn’t invite guests to my childrens play room no matter who they are. Of course it was… But that’s polite. You pull out someone’s gift when they come visit so they can see it be used. I would do that. Of course you do. Everyone does that. I said that in my article. Just like putting out the chutney on the table. I wonder how big their storage locker is. I agree, KMR> The rocking horse was placed there for a great photo op. I think Prince George is darling. The photo of him with his little hand on President Obama’s hand was very sweet. I am glad Harry was there as he is someone who probably could discuss tings in a more sophisticated way than Kate. As for William, I just don’t know. KMR, you were so funny to me when you said the children’s bedtime was rather early I think that is what you said. No, it’s not! When you’re with your kids for so long during the day, that is not early at all and you want time with your spouse Oh, wait, I forgot, Kate is probably not with her kids all day. At any rate, I also agree that Kate looked so darn skinny! And, the dress was terrible. Michelle, as usual for me, looked awecome!! I was going to ask as well: now which of the two plays the piano????? Yes, I wondered that too! If you play a baby grand, you most definitely do not use it as a surface on which to display pictures and a huge vase of flowers. Imagine if the vase fell over, spilling water into the body of the instrument * shudder*. Perhaps it is there for entertaining purposes and someone comes in to play for guests? I’m assuming the drinks tray has been brought in for the evening. If George has his toys in that room, it presumes he has access to that room; the drinks tray is easily accessible to a small child. All so staged but not that well thought out. Which of the three plays piano? George!!!!! It tickles me that some pictures in the drawing room were taken by royal rota photographers/paparazzi. I though bill and kate were against them. No personal portraits? Diana was always having portraits done by herself, with charles, and the boys. Why take the time to have those done, when freely available, public images of you from ten years ago will make do. Williams only solo photo in the room that we can see is the one where it was remarked at the time that he looked most like Diana. **Psychology klaxon** Boy does he have some deep rooted issues. How utterly bizarre. He looks incredibly smug, smirky in that particular picture. Using the middleton parents at the wedding. Blah! No pictures of the kids. It’s like the room was staged for a real estate showing. Very cold. The william picture was taken 21.9.2001, as he was starting at st. andrews. Interestingly enough, charles accompanied him and was just out of the frame. It’s the kind of wholesome, treasured picture that we all frame and keep on the mantle. I don’t believe so, Charles accompanied him on the engagement. If you google other pictures from that day, charles was walking beside him. 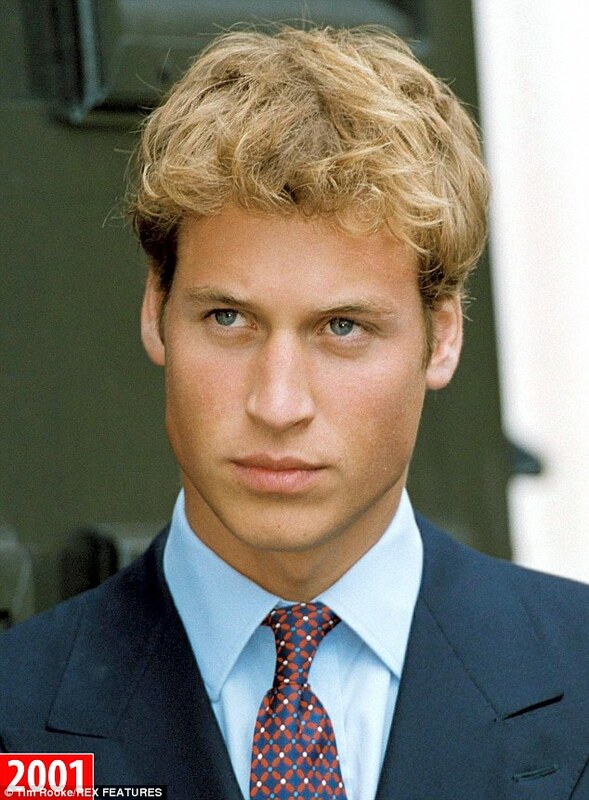 The kp flunky probably printed out the first picture they found after searching for “dreamy prince william diana lookalike hair hair hair” and found a 15 year old picture. They put out the most glamorous, flattering photos? Doesn’t everyone display the best pictures of themselves in their homes? Spot on, staged and the POW (without his blood their is no petulant), his generosity funding these two lazy entitled Large family and inlaws, with millions of tax funds is conveniently excluded from the main entry of millions in renovations. Thank you POTUS for standing next to King Henry, instead of whiny lazy bill middleton. Most of us ignore the PG PR move, he won’t even smile if whiny bill is not showing him his teeth when to…; there are better deserving royal family/children (Princess Anne grandkids, Wessex’s and SRF babies and granddaughters, Denmark and Spain, to name a few. The bottom line is that most likely William and Kate will succeed the Queen as King and Queen. Therefore Charles and Camilla are usually not found in these pictures or most other pictures that matter. There probably is a real struggle going on behind closed doors for the succession to the throne betwee Charles and Camilla and William and Kate. I think Kate wants to be the next Queen and she and her mother have an enormous influence over William. William is excluding his father from most photo opportunities and from most important political events. I think that Charles and Camilla should have been the ones to entertain the Obamas. The trip has political significance as Obama is there to try and convice the British to stay with the EU. Charles is not included it seems in these discussions. Too bad as i do like Charles. With respect, William will absolutely, 100% not supercede Charles and become Monarch after ERII. The line of succession is not up for negotiation. Charles is the heir to ERII and as long as he is living, he will be King. I hope you are right. But it will be interesting to watch what happens politically. Nothing can happen politically. On what grounds? That’s ridiculous. Charles is up next. He is a splendid POW and will be a good king. Workshy Willy is the great question mark. Helen, the rules of succession are not up for debate. It’s not a trick nor is it a question of popularity or politics. It is also not upto the Queen who succeeds her. It is out of her hands. We do not operate like Middle Eastern royalty where the heir can be anybody chosen by the ruler. Anyone who thinks Charles can be skipped in favour of William clearly doesn’t know the law. Ditto if you think that The Queen can choose who succeeds her. Charles could be the most unpopular prince in christendom and he would still get the throne ahead of William. etal along the line of succession. There are only two situations where William might be enthroned over Charles. 1. Charles dies before The Queen. That would move everyone UP a place making William no 1 in the line of succession as opposed to his current no 2 position. 2. Charles gave up his rights/ was removed. Not as easy as it sounds. Only Parliament can do this, and only after consultation with all 16 Realms. All the parliaments in all 16 realms have to agree on this. Please note that throughout British history, Monarchs have been removed ONLY because they posed a threat to the peace of nation. That includes the one who abdicated in the 1930s. The PR reason given was that he abdicated for love of Wallis Simpson, but the real reason was that he was pushed to abdicate because of his close ties to the Nazis where he was thought to be passing on sensitive govt information, AND he was careless with govt information where he would pass it on to friends at dinner whoch posed a threat to the British govt. Charles may have been a bad husband to Diana, and his wife may not be as popular, but neither one has ever posed a threat to the peace of the realms. The rules that govern succession are ironclad. End of. Ps : as for charles and Camilla being divorced, that has no bearing on inheritance of the crown. Charles isn’t the first heir/Monarch to be divorced. The foundation of the church of England predicates on a King wishing to divorce his wife. He went on to marry and divorce 5 more times. George 1 divorced his wife before taking up the throne of England. George 4 tried several times to divorce his wife, going as far as attempting to create a new law to accomodate his wish. The church of England is not as rigid as the catholic church, and divorced couples have been allowed to get on with their lives for many decades now, including Charles and Camilla. No pearl clutching here, and if there were, it would be the height of hypocrisy by the church considering the reason it was founded, to grant that Kingly divorce. Exactly. The only way William will be next after QEII is if Charles dies first. Also, Charles is taking on more and more of the Queen’s responsibilities. Why would HM give more responsibilities to Charles if she wanted William to be next? I do think that the Queen can change who is her successor. Charles is divorced as is Camilla. Charles is also getting older. Those reasons could be used to skip his being king and letting William succeed. The Queen can’t just up and change the line of succession like that. Parliament declared Charles Heir Apparent and only Parliament can revoke that and declare someone else. I had a history professor at university who specialized in British history (specifically Tudor/Reformation) and he insisted that he believed that the crown would skip to William. Now, this was two years ago, before Will and Kate were getting all of this negative attention for being lazy and workshy. I personally do not believe it would skip, but that is because people see that William is FAR from ready. I suppose my professor must have believed that Charles would abdicate. But I disagreed with him even back then. I mean, this man has waited his entire life to be king. I don’t see him giving that up willingly. Cookie: Your professor should be sacked for spreading such misinformation. Before the Tudors, the only way the only way the line of succession was ignored was via usurpation before or after a civil war. That’s how we went from Plantagenets (several inter-family ursupations) to the Tudors. In the Tudor era, Henry 8 became desparate for a male heir because of a direct reaction to what had happened in the Plantagenet era where female rulers had been directly blamed for some of those civil wars – read/youtube : ‘she-wolves of England’ for a guide to some of these women. By the Tudor era, it was felt that female rulers were no good, so Henry 8 was disappointed with his female. The Tudor era was unsual because they used the threat of disinheritance as a political tool in keeping all the heirs in the line of succession in check. However, no matter this threat, they never actually followed through exception Henry 8, and even he restored his daughters. We became a constitutional Monarchy during the Stuart Era, and successors were approved or dismissee by parliament. Even so, the line of succession is followed rigidly. You have to have a very good reason for skipping people in the line. And if you look at the kings and heirs skipped eg to bring in the Hanovarians, the peace of the realm was definitely threatened. Willy seems really careful/paranoid about what he shows to the world. The absence of photos of the rest of the BRF is not only telling, it’s deliberately cruel. In another interview, all the photos were either turned away from the camera or missing, I don’t recall which. Maybe this drawing room is only there for visitors and they have another private drawing room. Either way letting William suceed would be an unwise move,because he is simply unprepared for the top job. The personal photos were turned toward the wall in one of William’s interviews this year. A particularly paranoid move that reminds me of when William wouldn’t release Lupo’s name and only did so after a public outcry that even the Queen releases the name of her dogs. I can’t remember which interview had the photos turned toward the wall but the photos were published in the Daily Mail and escaped the notice of most of the readers. That’s just a passive-aggressive act. Seriously, if the photos were that personal, surely it would be simpler to remove them for the duration of an interview or replace with an ornament or flowers if need be. Paranoid, oh yeah, but also incredibly resentful and angry that William has to waste his time on interviews. Turning photos is a F.U. signal. As for not announcing Lupo’s name, what a silly man. Oh KMR, I think that poor Lauri C is going to have a fit when she sees the way that Kate is standing and clapping. I looked at the picture last night and I immediately thought of Lauri and that she would need some smelling salts. However I think that The President and First Lady would have been happy to see George. The conversations that they had with Harry and George would have been the most intelligent ones that they had all evening. I also agree that George had never played with the dog or the horse before either. This to me is just blatantly using George in a PR move. They got crap reviews from the India tour and now they are pulling out his sweetness Prince George to use to their advantage. He is too naughty to do most things, but is OK to pose when meeting the President of the United States to help Willnot and Kannot out of a PR nightmare. And for God sake someone give Kate some bloody lessons on how to clap properly. The woman looks like she has never mastered the incredibly hard task of clapping her hands together in a natural manner. LOL I just died! I swear we have all been talking about her stupid clap for the past five years! I think it’s best we let it go now. She’s not improved on anything! She can’t string together a sentence, she surely can’t keep her skirts down, so no hope for a proper clap. Sorry, I could not resist! Hi Tanya, awww thanks for thinking of me! I’ve laying on the sofa all day with a cold washcloth over my eyes, as the smelling salts just weren’t enough! Watching her walk across the courtyard was actually painful, she looks like a giant question mark!! I cannot believe no one on her staff, the many designers she’s worked with or even her mother has mentioned to her that her how bad her posture makes her look, not to mention it makes her expensive clothes look horrible. I read, long ago at the LoveLolaHeart site, that Kate’s clapping should be a PSA for helmet safety! Now every time I see photos of her clapping I can’t get that thought out of my head. Oh Lauri, you have made my day with the PSA for helmet safety. Hubby and I were crying with laughter. Thanks as always KMR for the swift coverage! It is indeed quite unusual to see KP interior, especially after the expensive refurbishment. But my reading is, they try to make the long needed justification for the extremely expensive renovation cost by making Obama their first guest. It is entirely PR thing. I think they try to white-wash the hazardous image the Cambridges has over the past years and want to show that the expensive renovation is necessary for hosting important guests. Either way, I still think that renovation was a huge waste of money, especially if they do not live there. I found the seating arrangement very interesting. They made sure to isolate the President to chat with Wills while Harry was put in the middle. One might assume that it is so that he could chat with Michelle, but if you think of Kate’s lack of conversational skills, I suppose he was there more as a supporter to Kate. In this regards, I really pity the Pres since chatting with William must be dull and mushy. Remember in the last video we saw them chatting, Wills talked mostly about his kid while Harry properly addressed the Invictus games and important matters. I find it interesting that they actually try to distant Harry from the Pres and made him a crutch for Kate. Regarding dress, yeah not sure what to comment about… Always choosing the most ugly dress of the entire collection that the designer may have, and probably among the most expensive. Michelle actually dressed so well that she looks much younger than her age, while Kate made herself looks like an old lady. Kate’s dress reminds me of my grandma’s dress from the 70s. She really needs a new stylist. It may be just me, but in the picture where the five lined up, I feel that both Pres and Michelle look powerful and radiating charisma. Harry, though standing on the side, looks similarly charming and powerful. The two Cambridges and their crotch clutching signature made them look like assistants or chaperons. They look small and dim. Totally agree with you on the picture with all 5 of them by the door. Kate looks like she’s just there as a place holder. Michelle had all the star power. She just radiates. Her confidence shines through. Same with the POTUS. The look on Harry is kind of telling. It’s like he’s thinking “why can’t I have an actually great evening with the Obamas without my brother and his wife?”. I’m pretty sure the evening would be completely different without William and Kate. 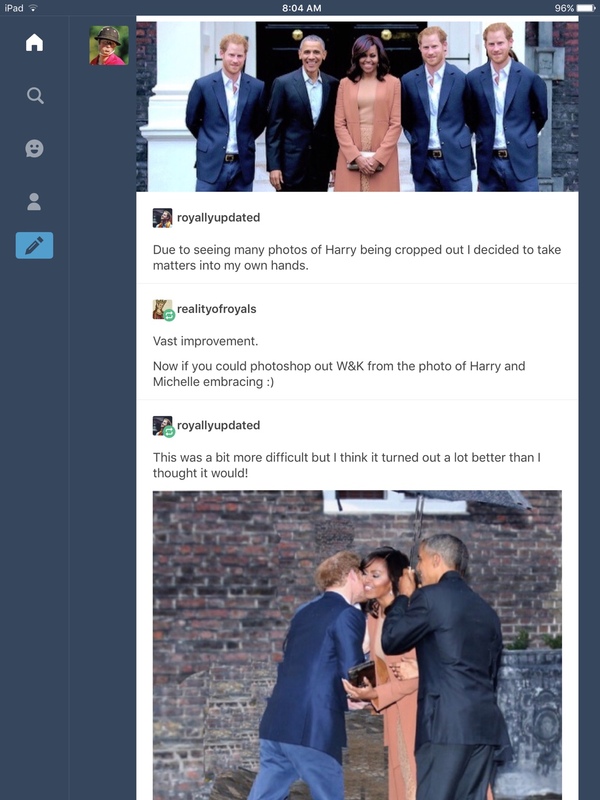 I love how Harry went in for the double cheek kiss with Michelle. It shows how open, caring and charming he is. The Obamas clearly rocked this dinner. They look more at home than Kate or William! The picture of the ladies on the couch, Michelle looks so relaxed on the cough. She’s sitting back but still with her back straight, sitting tall. Kate on the other hand, that hunch back! It is really bad! 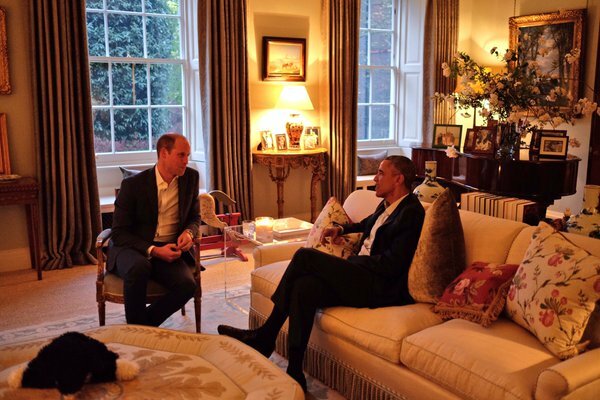 POTUS also looks very comfortable on the couch while William is leaning in. You can clearly tell who’s in charge there. I would totally love to have dinner with the Obamas. They seem like a very easy going couple. They appear to be very approachable unlike Kate and William. As for the picture where they are all crouching down to talk to George. Why is Kate off to the side? 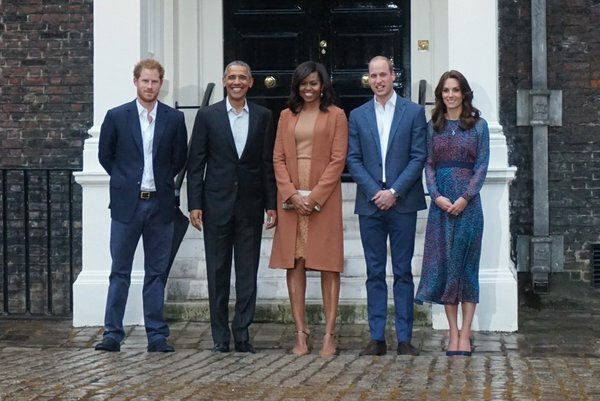 And the one where William and POTUS are talking to one side, Michelle and Harry are talking on the other side and Kate is with George.. is it wrong that I thought “good, Kate’s with the child… where she belongs.” Kinda like she’s at the kids table instead of the adult one. I really hate that I used to like her and had high hopes for her, but she’s just turned out to be a total disappointment. You’d have thought that POTUS and FLOTUS were the ones who invited them to their house. I said the same thing of the picture with her in India coloring with that little boy. Nice move from the Cambridges,to allow George to meet the Obamas.It is cute and memorable and since he’s in pyjamas it gives off the relatable feel. After the unpleasant reactions of the interview with William and after Mia was the star on the Annie Leibovitz photo the Cambridges threw in their joker George. It is a PR basic knowledge that children alway evoke positive emotions. The welcome kiss from Prince Harry for Mrs. Obama was lovely. On this photos Kate seems rather invisible to me. 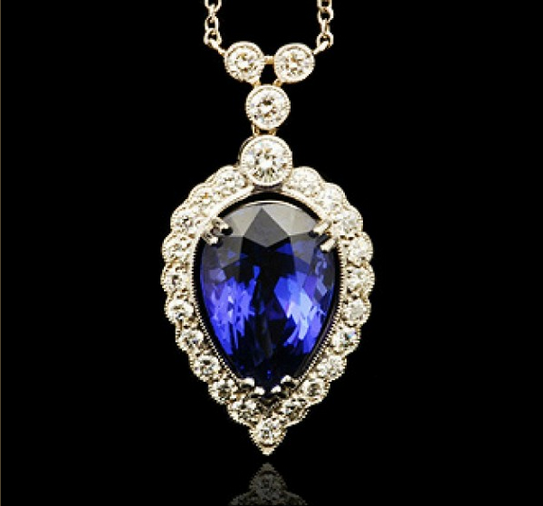 I like the colour of her dress and the pendant. On the picture where the five lined up, Kate disappears (I dislike the dress), Will has his smile that I hate. I love the fact that Michelle Obama shakes hand with Kate and William, but kissed Harry : she shows that the special relationship is with Harry and not with Kate or William. Interesting tweets from the photographer : they use their children, I think that William doesn’t like be used by Charles for PR but he makes the same thing with his son. But it is not just a photography of George that will change the critics of them. I realize that this year Prince Philip will be 95 years old, almost a century : doesn’t deserve he most rest? Prince Philip chauffeured the Obamas from the helicopter landing pad to Windsor. He’s a fairly energetic almost centenarian. I’ m sorry for the e mail you received. This blog is not offensive at all, it is a critical blog about Kate Middleton, written by a blogger who doen’ t like her so much, sure, but we have all different opinion and the blog has never ever been rude. I am sorry there are such unkind people in this world. KMR is written as a *critical thinking blog*. If the person who wrote such nasty things to KMR, read the blog with any reading comprehension, this person would know the truth of the blog. If anything, I have noticed time and time again, KMR points out positive things about Kate and gives her the benefit of the doubt. KMR, I hope you pressed ‘delete’; it belongs in the trash. If the blog is so offensive to the nasty writer, he/she can choose not to type in the url. Problem solved. I love FLOTUS and I think her outfits yesterday were spot on and her evening shoes – wow I want them. On paper she is like Kate, her status comes purely from her husband, yet to me ( and I’m not American and not being political) she just seems to exude charisma and warmth and power. She has done good things here regarding girls education and I hope she continues to be involved in Incivtus. She and Harry clearly have a bond. Kate’s dress is boring – this was an occasion she could have been dressed a little younger and dear god something other than those court shoes. I almost want the wedges of doom back. Without wanting to comment directly on size I think she looks frail, she seems to be vanishing. George as PR ? Shame on the Cambridges – if POTUS brings photographers, give the UK the very same or more access. £4.5m to make the rooms like this – move forward, be 21st century, try something new, use modern furniture designers and fabrics…. Oh no forgot, this is Kate of the 1950’s. KMR hope you are ok, vicious emails are never nice to receive. Technical problems frustrate me as I’m no good at resolving them. Glad you are back up and running and refer any other abusive emails to Wild Rose!! She’ll give them a piece of her mind ☺️ You know you have complete support from your KMRers. Michelle’s status comes from being a whip smart accomplished professional in her own right. Educated in Ivy League schools, a lawyer, and executive before she became FLOTUS. Waity has nothing on her. I don’t disagree but what I was saying was that her status as FLOTUS comes from being married to POTUS. There are very many whip smart, accomplished women , but they are not FLOTUS. Again I am not American so it has nothing to do with me, but she might well make a great POTUS. Do think POTUS needs to keep his nose out of Brexit, though. I was just about to say this same thing! Yes, she has the fame from being married to the POTUS, but she stands firm in her own right as an incredibly intelligent and accomplished woman. I did not vote for the Obamas, but I have respect for them both – and really am inspired by Michelle. Michelle is rock solid and a great inspiration to women and young girls. Again, let me say, thank goodness for Harry. And, for George’s little appearance! Although, talk about using your kid! I hate to be totally mean. I am sure this was a really good moment for little George to meet a sitting President of the US and his First Lady. Birdy, I would love you take FLOTUS (and so would half of America). Kate and Michelle are both great at playing the press and both are not what they seem. That is all I will say to not make this political. Gladly take FLOTUS if you will accept Camilla In exchange. I know Mr President will be called Mr President always, what happens to her? Does she maintain any type of title. Agree for KMRs sake we must resist becoming political but have to say it is going to be difficult until November. We all so wanted Cameron to make comments given that POTUS felt quite happy to tell us how to vote!!! That would have stolen the headlines from PGTips. The decor is just awful!!!!!!! There are some good antique pieces but they are drowned out in a sea og beigeness – and don’t get me started on the frumpy couches, tacky lamps, the ugly lucite table and that ridiculous sofa table that wants to be an ottoman. I realise that I grew up with a completely different aestethic in Scandinavia but this room just looks tacky. I wish I could get a better look at the art on the walls. If I had gotten the chance to decorate a room such as this, my approach would have been very different. Some colour on the walls (perhaps in the form of rich tapestries). Then a mix of antiques and Scandinavian modernism – and some frigging PH lamps! Some contemporary art on the walls. I shouldn’t be surprised that Kate would be able to spend a lot of money on something that looks both bland and tacky. That drawing room has the look and feel of a hotel lobby. It reflects Kate’s personality and taste which is not saying much. Yes!! Hotel lobby is perfect description. I was unable to edit the remark. Are there still technical troubles? There shouldn’t be any more technical issues. I tested the edit feature in Safari on my phone and it worked. Are you sure the 10 minute time limit hadn’t passed? I hadn’t. I got a message saying I wasn’t authorized to edit the comment. That’s really odd. Is it still giving you the same message if you try to edit a comment? Perfect description. A hotel lobby, indeed! When will I quit being surprised by Kate? I am so disappointed with the decor. They are a youngish couple, in a stunning historic residence and they come up with this? I remember the photos of Sophie Wessex at 50 y/o featured a beautiful piece of furniture I covet. Yes, it’s a badly disguised “secret door”. Quite cool, really and common in older large residences. (Or it’s where Waitybots spare battery is kept…) joke! joke! A more contemporary Scandinavian look would be just beautiful in that space, plus reflect a young family. Maybe there were restrictions on type of decor? It does have an English country house vibe. I think it is just Kate’s very simple mindedness that dictate “high class = beige”. That room is the very cliché image of what an aristocrat’s house should look like. An aristocratic house would not look like this. It would be much more eccentric and eclectic, stuffed to the gills with furniture that looked like it had seen better days and if it were new, fitting in with the old furniture so as not to look new. This look screams middle class good taste as translated to a country house or a country house hotel lobby. It really gives away WK’s middleclass roots. For comparison, google Jemma Kidd+Arthur mornington+country estate. This couple is 30something, and recently refurbished their country house. This look is what you expect from an aristocrat pretending to be modern in their decor. Old school aristocrat houses would look like Wilton House, the family seat of the Earls of Pembroke. That house has also been recently restored, and the current title holder is also 30something. The rooms are full on old school aristocrats in their decor. Given the furnishings available in the royal vaults and considering what can be borrowed from the royal collections, and WK’s preference for the countryside, plus the rumour that Ben Penreath helped with the decorations, i would have expected to see sometjing along the lines of Jemma Kidd’s home. Even with beige colour scheme. Thanks for the Jemma Kidd link: what an amazing interior – it is elegant and also so warm and eclectic. Just beautiful It really does put W+K’s room in a very beige light. Jen: it is gorgeous. I drool over it often. If you like interior design, google Cote de texas blog. The lady is american, from Houston, but her personal taste is European. She updates about once a week, but primarily she reviews interior design projects and recommends cheap options to get the look. She also has a section on Palaces, so you can go look at the history, refurbishments of various palaces. She hasn’t updated WK’s apartment yet with these latest photos, but you can have a look at KP from inception, additions by various KP residences, and any upgrades. WK’s flat is interesting because you see the state Margaret found it in (a horrid mess) through refurbishments she made, through to the charity refurbishments until the handover to WK. You can also see Diana’s apartments. Staterooms etc. Charles’s refurbishments of his various homes at every stage. The Queen is a very disappointing interiors decorator in that she hasn’t touched any of the properties she’s lived in. Consequently they are all old fashioned and falling apart. Balmoral in it’s current state is deplorable. It genuinely looks like it hasn’t been refurbished since victoria died!!! All of that said, the lady highlights interesting interior design projects. Some we agree on, others we disagree with. She has a haterade for all of Ellen’s design projects and doesn’t think Ellen has a good eye which brings out alot of heated debate. This week’s design project is Cecil Beaton’s final homes. Ps: did you know that Madonna’s english country mansion once belonged ( was leased) to Cecil Beaton?! She put together an amazing blog post about it, how Cecil decorated, then the interim owners before it was sold to Madonna and finally Guy Ritchie. It’s evolution is fascinating. That lucite table caught my eye too. I like them, but it is the only modern piece in the room (from what we can see) so it stands out. And how nice to turn on all 8 lamps to create soft light for the photos. I really wish they put some modern art on the walls. Who are those people in the paintings? I don’t think they succeeded in blending traditional with contemporary, but that is just my take. Agree that Kate’s dress looks matronly and ages her. Michelle looks so much better, in part to her projecting energy and enthusiasm. William seems to think smiling is showing both rows of teeth while looking angry or bored. His “smiles” are odd because they don’t reach the eyes – in a genuine smile, the corners of the eyes crinkle. I believe that in terms of primate behaviour baring the teeth, including the lower teeth, is an action of intimidation and agression. Considering it’s a historic building there is so much beige….wouldn’t it be a listed property? Probably Royal property is exempted. Talk about everything being staged. The sanitized photos, trotting out George, and the rocking horse. I’m surprised Paranoid Willy even allowed pictures to be taken. Then again he needs some serious PR so his opportunistic side won. Look at Michelle–confident, strong, and sophisticated. Zoom over to Waity who might as well disappear into the ground. Absolutely zero presence and stature. A wallflower! Next to “strong people” (except you Willy) Kate looks like a non-entity who photobombed the picture. You can cut her out of the picture and she won’t be missed. Notice Michelle is wearing a semi-monochromatic outfit, which is Kate’s usual go-to style that we have seen ad nauseum. But boy, Michelle could walk the runway. Thought bubble on Michelle, “Kate, this is how you rock a monochromatic look.” Now why can’t Kate pull the same look and ends up looking like a Drab Queen instead each and every time? Oh, and Kate looks like Michelle’s spinster aunt in these pictures too. Your eyes are immediately drawn to the President and First Lady. Then you’re like oh and there’s sweet Harry. And then you just admire them together. You don’t see anyone else lol. My husband walked by when I was reading this and said, “Kate looks terrible. She has gotten too thin and she does not look good at all”. The dress is awful. If you think of how she looked the first time she met the POTUS and FLOTUS and compare her to now… I think it would have been nice if Kate had worn a dress with a V-neck and wore the new necklace given by Queen of Bhutan. It would have been a nice gesture and a point for conversation. Jason is pulling out all the PR stops possible. Allow photos at KP, bring out Prince George and drag Harry along for all the good things Harry brings to every situation. I agree with many of you: Michelle looks gorgeous indeed! she’ s so charismatic! And Obama is always well dressed. Harry also need to have his clothes better fitted. Unless they change and start embracing their role… these pictures are nothing, but a desperate pr bandaid. Appearance wise… Harry apparently threw on the first clothes he found. Could Bill’s pants be any tighter. As a parent if I had to choose between allowing several journalists walk in and take pictures of Prince George OR letting one journalist take the picture so that the little kid was not too affected by all the brouhaha…I would go with what they did. I think the Press assumes too much about their “rights” to have access to the photo op especially because this involves a small child who has limited rights at this time. Granted his parents decisions may not be the best, but they are his parents and no one is perfect. Overall, Kate and Will are doing really well as parents and it is a very tough task bringing kids in such a nasty and judgmental environment. The Cambridges are not very dedicated to the charities that they support,but as parents, I have always believed that they have handled the media very well in regards to pictures of their children. I agree with you about one photographer it is more easy for the kid. In this case, I think that when it is always (or almost) the same photographer who takes photo when it is limitated, it is not good. Well, it may not be good for the “press” but it IS good for the children. And it seems pretty common- at least in the American press. I believe that Kennedy, Clinton and the Obamas now all have specific WH photographers that have much more intimate access than others. This is why we get those great shots of John John under his father’s desk in the Oval office and other iconic shots. With designated staff the kids will feel more comfortable and safe which is good for them. And it gives their parents the comfort that they will be able to protect their kids from feeling “hunted” from photographers that aren’t as respectful of the children’s privacy and rights. In other words, it seems to work! I wish the Cambridges would consider something like this. It’s been so interesting to see all the video footage and pictures that are being released for the Queen’s 90th celebrations. I feel like this level of exposure into their private lives has never happened before. Maybe this is a sign of things to come. Maybe the new generation can find a way to build this kind of relationship with the press and public. The various videos shown in the Queen’s documentary have been released over the past 90yrs. Some footage was shot by older family members, and or came from newsreels. The royals started releasing video footage to the public as soon as the medium was invented. You can find footage of Victoria and various royals on the internet. All released at regular intervals since then. If you had never seen any of the footage shown in that one documentary, then it was a wonderful surprise to see it all in one place. However, if you’ve been on a decent royalfan blog in the past 5yrs, you would have come across all the footage shown, albight in different places and small chunks at a time. What i’m saying, is that there was nothing new or revealing in the documentary showing old footage shot by the royals themselves because they released those videos a long time ago and it’s very cheeky of them to pretend they are showing new information. What was new was having the different members of the family comment on the videos. As for pictures, yhe ye old way was to paint pictures of the various royal family members at frequent intervals and have those circulate amongst the public. Once photography was invented, the royals started using that as well as paintings. Victoria and albert made it a point to have family pics taken and made public about 3-4 times a year. A tradition Victoria kept up after Albert’s death, except she’d include a bust of Albert in every picture. The point i’m trying to make is that WK are trying to reinvent the wheel, and will fail because they don’t have a strategy in place, seem to think they can lock themselves away and only come out on their own terms…. Newflash, every monarchy that followed yhat strategy was removed. Even the most hated monarch, George 4, didn’t try that strategy. On the other hand, since an American president–of either party–is making actual decisions with real ramifications in a very heated political environment, about half the country is primed to dislike or even to hate him. The Obamas as parents must live with a lot more “nastiness” and “judgment” than Kate and William ever will, and their children are in way more danger from internal threats and outside terrorists than George and Charlotte ever will be. Also, I don’t think I can ever say that Kate and William are “doing really well as parents” until they stop taking pot shots at George every time someone asks about him. there is also a general understanding in the US that the first kids will be left alone for the most part, esp if they are young. the press respected this with Chelsea clinton for the most part as well. the Obama’s have, more than other presidents I can remember except maybe Kennedy, exposed their children to world events and world Leaders at appropriate events. I am not a fan of his policies, but I do agree that his children seem well adjusted and normal. Totally agree with this! The way in which the Obamas have balanced protecting their girls’ privacy and right to a real childhood while still exposing and teaching about the complicated world in which they live is commendable. It must be so difficult though. My goodness, Kate’s style makes her look older than Michelle! She looks brittle in these pics. 7:15pm is early for kids to be in bed! I’m surprised! My son (the same age as George) goes to bed at about 8:30pm. How early did your boys wake up? Oh yes, France is definitely different. My inlaws have a house in the mountains near Perpignan where we holiday every year and my boys were always tucked up asleep waaaaay before the local children. They’d wake up about 6/6.30. Or they did – they’re teenagers now, so rarely out of their beds before 11…! I’m in the same nightowl league as you are KMR and am wayyyyy past my 20s. LOL!! Before I respond, just want to say this is my favorite site to read before going off to work. I think I’ve written on here once, but it’s all a fun read first thing in the morning. I am looking at the picture of Kate sitting on the couch with Michelle and to me her body language is so closed. Her hands are just clutched in her lap (sitting crotch clutch) and she just looks so tense. Michelle is totally relaxed. As usual Kate looks a mess, horrid boring dress suitable for a 65 year old, that looks too big, lanky hair and if you look at first pic in this post, deplorable posture with her groin thrust forward. So many thoughts going on in my head at the same time, I don’t know if I can get them all down without forgetting something. Love Kate’s dress, beautiful colors and perfect for the occasion. Usually I love FLOTUS but I didn’t like her outfit, too boring and maybe a tad too dressy? I’m glad I didn’t have to figure out what to wear for this occasion. Informal but with lots of expensive jewelry? My daughter in law does the whole “If I gave you something put it out while you’re here visiting thing” But perhaps Kate also thought wouldn’t it be nice if George could connect the horse and dog with the people that sent them to him as a baby? I thought the whole bathroom robe thing was strange. Love that George got to meet the POTUS. Maybe years from now George will have his own photo album of all the US presidents he met and Obama will be the first one! I was amazed to hear the Queen met Harry Truman! Will’s pants are too tight and Harry looks sloppy. The drawing room decor? Blah, I don’t feel for it one way or another. The whole press drama? I don’t care as long as I get photos! KMR your blog is awesome and I don’t find your comments out of line at all. So sorry to hear you got nasty email. Let it go. I do wish some commenters here would stop calling members of the royal family derogatory names. It comes too close to bullying for me to feel comfortable. Wow so many Royal things going on lately! What’s next? The issue of harmless name calling=bullying public figures grates and patronizes me because there are many people who have legitimate problems. Being called Bill and Cathy on an internet comment board are far far from it. I think we all should continue to scroll past comments and words we don’t agree with or like. Apologies, if my comment was out of line. I personally like a dash of sass. Stops the blog becoming beige. “Bill” and “Cathy” may be harmless but some names that get hurled at Kate and Princess Sofia are absolutely vile and offensive to me. I hate to disagree JL, but on one of the India tour posts W&K were referred to as douche bags. I didn’t say anything about it at the time and I’ve regretted it since. Lamebridges, willnot or cannot are fairly harmless. Scarole! Imo, the approach of people scrolling past something they don’t like, rather than taking it upon themselves to patrol the board has worked fairly well recently or discussing an issue privately with kmr. I apologize, if I have overstepped here. I wouldn’t have said anything, however – from my personal experience – equating a public figure being called waity, with being bullied is overdone. Kmr, Lauri, I agree about the horrible names that are thrown about including douche bags. Not that i condone bullying, but some descriptions of behaviour are apt and to the point. The Cambridges often act like douchebags. Is it wrong to call them that? What other word can accurately sum up their behaviour which also describes their public personas and how go about their public lives. Sometimes, an essay on the subject can’t quite make the point. Waity is a description of her behaviour. Is it wrong to say she waited and figure out a shorthand to describe her behaviour? Duchess of Pork IS an abusive term, and is bullying. Duchess dolittle is not. Dolittle comes from the fact that she does little with her public persona. Duchess of Pork is abusive and bullying someone because they are overweight. What happened to people understanding nuanced arguments, even where nicknames are concerned? So you were bullied as a child, and i’m sorry that happened to you, but guess what? Children are bullies. It’s an instinct we can’t get rid of no matter how sophisticated we become, however, we learn to grow out of it. Lord of the Flies isn’t something that should be tolerated in adulthood and abusive behaviour in adulthood shouldn’t be tolerated. However, there is a big gap between describing someone’s negative behaviour in the form of a nickname that accurately pinpoints that negative behaviour vs people being cruel for the sake of it. What we need to understand are the cruel nicknames and not tolerate those. Agree. The db wording was very horrible. I think exactly the same – my boys wore similar, they still do. I do too! Is it a cultural thing? A class thing? I’m gobsmacked it’s a ‘thing’ because everyone I know wears pjs & gown like this before & after bed. What on earth is wrong or different about it? It’s a dressing gown. They go over PJ’s. Thank you JL that you also think this is normal! Maybe it really is a ‘class thing’? I always thought wearing a dressing gown was totally normal and I just asked my friends who are with me just now – they all think so too. Hmmmmm….. I think the confusion does seem to stem from bathrobe vs dressing gown. DGs are worn over nightgowns or PJ’s as extra warmth & as its not appropriate to wander about in just PJ’s, unless with v close family. Everyone has a DG. Bathrobes are rarely used – I’ve only ever seen them put on wet people in movies. Too flipping cold – you dry yourself & get dressed asap. IDK maybe it is a cultural issue. Maybe because I grew up in Miami, FL and it’s a hot climate, I never saw robes? It might be that it looks like something you would put on after your bath but before you put on your pjs. I think if it was more formal it wouldn’t bother me? IDK I’m trying to put it into words. I just can’t imagine why Kate would want George photographed in his PJs and robe with the POTUS? Sorry? I have never worn a robe. 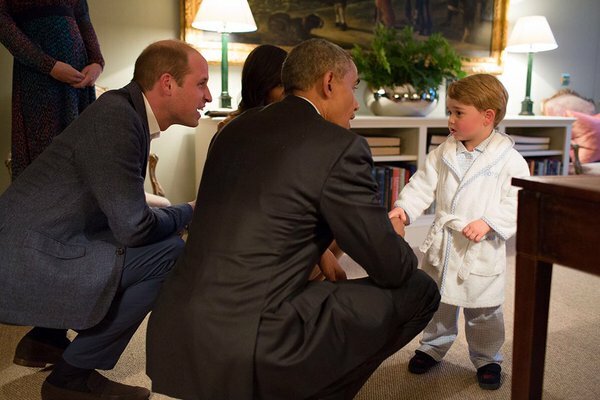 I don’t know if it’s cultural or class related but I never grew up seeing little kids as young as George in bathrobes like that. Older kids, maybe, but not two year olds. So when I saw him in it I had that reaction of “little rich kid” since I’m not used to seeing kids that young in bathrobes. That’s so funny. It’s as normal here as wearing a jumper. Genuinely amazed it’s a thing for others. Maybe you all live in warm climates? Don’t know. It’s normal for Brits & evidently British Royals. my kids loved bathrobes at that age, which was hilarious. a relative gave them robes and slippers as a gift. they are not little rich kids (I wish) and they definitely did not look like little George with the perfect hair and the sense that everything is monogrammed. I have to say, staged as it is, he is cute. Maybe it is really just in colder climate zones? Idk. But here, also little ones as old as George have them… of course they are not monogrammed, but I also think I read on twitter that George ‘s dressing gown was rather cheap, only 20 to 30 pounds? I couldn’t tell you either. I used to work at a pool and the last few years I was there, I saw it more and more often where parents would pick up their child and put them in a bathrobe. Most of them would end up changing into street clothes, but I also did see some who wouldn’t even change their kids and they’d walk out of the building still with their bathrobes on. I have a bathrobe. I don’t use it all the time. For me, it’s usually to stay warm. I’m a shorts and a tank top kinda gal. Doesn’t work so well when you answer the door and it’s -20 degrees out. I’m jumping in late here, but it’s a yes to robes in this corner of the world! From babies on up. And I’ve never differentiated between dressing gown and bath robe. I always thought it was a different name for the same thing (sofa/couch)! I thought the photo line up was strange. There is a short video of the Obamas arriving at KP and William seems to have organised it and thought that he would have put Kate in the middle with Michelle but it seems his body language ingnores her. So what was the point of this dinner thing? To make the Cambridges look important and relevant, and to counter the bad press they’ve had lately. I can’t help but wonder if the puppeteer is preening and has a new room wallpapered with these pictures of her ‘daughter, son in law, and grandson’ with the President and First Lady. Wonder why no news about the menu. They absolutely needed Harry to be there or it would have been an utter bomb in my opinion. The photo of George in his bathrobe was — well, he came across as a “little rich kid”. Another mouth to feed for UK taxpayers. Sorry, but that’s how I see it from faraway based on his parents view on “whatever full time royal means”. I love the photo of Harry kissing the cheek of the First Lady. That’s a genuine reaction like the First Lady giving hugs. Thank goodness for Harry. He saved the day for William and Kate. As for William and Kate, you can see that magic is gone. They do so little for Queen and Country that they are wasted space. New here, but have been reading this site everyday. I echo your comment! Obama is well known for liking kids. A whole lot. I’m surprised that I didn’t see Obama on the floor interacting with George. I surmise George is being role modeled to be extra special (although WK wants a normal child) that Obama didn’t feel that connection. WK a very insecure couple. The photo of George reminded me of the comic book, “Richie Rich”, so that’s the image I had in my mind when I saw the photo. Or like someone had mentioned “Hugh Hefner”. Amazing how people react differently to that one photo which goes to show how important William and Kate need to be “seen to be believed”, said the Queen. Ditto, M. It’s as normal to me as brushing my teeth. I’m going to copy paste this here since it’s that same sentiment. Thank you, KMR. It could be a cultural or class thing. I came from a middle class family and I didn’t wear robes as a two year old. Goodness, I’d be laughed at. Bathrobes here are rarely used instead of a towel after a shower. Bare skin. Nothing else. Dressing gowns are worn over nightwear as an extra layer of warmth & out of politeness. Like a jumper in daytime – a dg is worn at night & in the morning until you’re dressed. Is that the same? A dg has nothing to do with bathing & everyone has them, even babies 6m plus. I think your DG and my version of a robe are the same thing. my kids wear them over top of their pajamas before bed and in the morning. What a relief! I didn’t think it was a European thing! Thanks, Reilly. Points for Harry to stand next to the President at the photo line up! Perfect! It’s amazing the reaction people have when they like someone because over here the FLOTUS was getting bashed for the way she looked, by some! I like her outfit, but then I voted for the POTUS. On the DM people who disagreed with the POTUS’ statements on Brexit hated the FLOTUS’ outfit, yet on here it’s getting great reviews. I think that as far as body language the Obamas do look powerful, but Will and Kate are not really powerful. Even with all the charity work in the world they wouldn’t be powerful until he becomes king. Harry looks like a guy full of personality, but he doesn’t look powerful. I stand by the fact that Kate is anxious about being royal. I always like her clothes and think it’s her insecurities that don’t make them pop more than anything. Some wanted the FLOTUS To wear a longer dress, and some wanted the Duchess to wear a younger looking dress! They both looked lovely. I think that’s just a matter of personal taste. Personally, I didn’t like what Michelle wore. I’m not a fan of the colour. But that’s not a big deal because there is so much more to talk about than what she’s wearing. Michelle is one smart lady and has used her platform well. Kate on the other hand, there’s nothing to talk about except her clothes because there’s no substance to her. Could it really just be that she’s super shy and anxious? Sure and there’s nothing wrong with that. But given how she has pretty much every opportunity available to her, she should really get on it and work through whatever her issues are. People wonder what is going on with Kate, but I do not suspect she is shy. Look at Kate in public. Historically over the years of being the girlfriend, she seemed to be all smiles and relishing the limelight. I go with boredom and on some level she is admitting to herself she is doing a poor job. So the Duchess is bad at her job, fine. I can understand the resentment. So she lights up away from official duties and likes the camera. None of that makes her anxiety null and void. People are simple and complex at the same time. The simple answer is anxiety, how she presents it is complex. Think of how many famous people commit suicide, overdose, or lead personal lives that drain them. They all love the spotlight, but that anxiety, depression and whatnot can’t just go away. Would one tell a person with triple x syndrome to work harder? Would one tell a paralyzed person to get up and walk? Would one tell a blind person to try harder to see? That’s what it’s like to expect a person with a clinical disorder to just get over it, no matter who they are. There is always a physical, chemical aspect to any mental illness, always. The neurotransmitters are wonky, basically. And again, just to be clear, I’m not defending her lack of a work ethic, but I do think there’s a reason why she’s called work shy, and it goes deeper than laziness. William may be the lazy one, the entitled one, and Kate may be a clothes horse, but their marriage and their lives are more complex than she’s just lazy. I see some substance to her, but maybe she’s being agreeable because she married into the BRF and she was born a commoner? It’s not like she just goes out on her own. Everything about her is a groomed public image. I’m sure her role as pretty princess was chosen for her. If her clothes are wrong then blame her stylist, blame the queen for not making her dress better and letting her wear dresses that fly up. The family seems micro-managed, so either she has amazing power to do whatever she wants or someone high up is letting her dress and act that way. I’ve been wondering if she maybe suffers from some form of postpartum depression? She seemed to be doing ok when she first started. The whole of 2012 she had the crotch clasp and hair flicking but she seemed more lively and engaged during engagements. To me it seems like she started “ok” – not great but that was because she was inexperienced. After Charlotte’s birth, she’s completely regressed. The spark is gone and she just seems so uncomfortable and unsure. As an Americanophile (or is that Yankophile?) the Obamas appear to be very intelligent people, incredibly engaged with the world, and have accomplished a lot so they exude the confidence that experience and maturity has given them. Their world is one of service, initiating rather than following. They are at ease and put others at ease I think. The Cambridge’s are none of those things, not even aspiring to be anything close, and this is put into sharp relief when the two couples are placed next to each other: a couple that achieves and a couple that doesn’t. Harry clearly is making moves to use his influence to be of service, and is naturally warm, hence the Obamas would be drawn to his warmth and aspirations. I imagine there was plenty to talk about: India, the children, Invictus, Sentabale, the Queen’s 90th. Michele Obama always looks smart, and appropriately dressed; such a statuesque woman who appears to be at home in her body. Kate, on the other hand, does not. Sadly, the more Kate and William are seen, the more calculated/ unnatural they appear to be. Interesting that Kate is crotch-clutching in the background while the Obamas were meeting George. Perhaps it is a natural position for her. I always assumed it was contrived. I can’t quite forgive Kate for staying in the background when George, from the look of him, has a bout of stranger anxiety. She should be at his side reassuring him. Her body language is “keep off” even with her own child. Lots of distance. I may be repeating others as I haven’t read every comment, or I may be going against the wave of opinion, but I don’t really agree with the press reaction that this undermines the Cambridges right to privacy IN THEIR HOME. That they allowed pictures to be taken is their business. I personally am so excited we got to see those moments! Should a British photographer have been allowed in too- maybe would have been politic but that I think is a separate issue. I have always disagreed with William that George or Kate can expect not to be photographed in PUBLIC. That is way beyond any right to privacy- as being in public is by definition not private- and creates a level of protection that is unwarranted and unprecedented IMO. Should photographers use long range lenses to photograph them when on a private residence? No. Should they be able to photograph George walking down the street? Sure. I think this is where William has made a mistake- if he allowed access in public places, as I s allowed as to any other person, I think the press/ public would never dream of assuming that they should have access to the family in private circumstances on private property . Anyways, my two cents. I am glad we got to see the pictures! Agreed, but also, this is a formal room in their home probably only used for occasions like this. If there is one room in their KP apartment that we will see, it is this one. We saw Charles and Diana’s formal living room all the ice, both in interviews and photos. This isn’t a breach of privacy. Completely agree! It’s their home and they should be allowed to feel safe in their privacy even though it is paid for by the public. I, however, don’t agree with the policy of allowing the children to be photographed without permission in public. My opinion is that children have the right to privacy- full stop. They should not be photographed for public consumption without their parent’s permission. This is especially true for young children. If George and Charlotte are at an official function then it is expected that their picture will be taken and published. However, when they are going out shopping with their Mom, that is completely different. Kate’s posture is driving me insane. Shoulders hunched over, neck jutting out. Even her shadow in the outside photo shows her poor posture!!! Well, it was just a matter of time until they pull the universal weapon: George. Obviously the reviews of the India/Bhutan-tour were worse than expected and the ongoing criticism can’t be made disappear by simply throwing on a new dress. The dress is … again… wrong in every aspect. Wrong occasion, wrong styling, wrong hair, wrong posture. In this one picture with Kate and FLOTUS on the sofa Kate looks like a keen student absorbing keenly every word of her teacher. Embarrassing! If I was a UK taxpayer I would be furious! I think it won’t take long and some British citizens rather invest in a fork and a torch than in another day of high life for these two empty vessels. I am not a UK taxpayer, it’s not my money, not my monarchy. 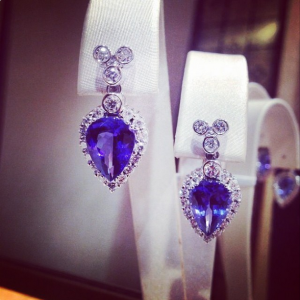 To me all those royals are “only” a source of inspiration….well, most of them, W&K are more like an accident. You don’t want to stare and watch but you have to. Let us hope she’s not pregnant. Although the tabloids are at it again here in the US. Kate Expecting Twins. She was expecting twins before she was pregnant with George. And, during that pregnancy. Before she was pregnant with Charlotte and during that pregnancy! She is so unhealthy looking, I am surprised she can conceive and carry a healthy pregnancy. I hope not. I can’t handle that circus again. But her “year of maternity leave” is just about up, so she’d be right on track to get pregnant again and coast for another 18 months. i ve always wondered if they are a little afraid of a revolution: nowadays with internet ideas can be spread faster and more efficaciously. OK, I have avoided this but does anyone else think that Kate’s ‘girls’ look a bit droopy. KMR, your blog is great. Critical , but balanced and fair.. Don’t let the haters get to you. I have seen video footage of President Obama’s arrival at KP. He held an umbrella for his wife and seeing Kate was standing in the rain seemed appalled at the lack of decorum from the two Englishmen, invited her under the umbrella, too. Everybody somehow scattered then, it was obviously not clear how the grouping was to be done, Kate was shunted to the side. Very akward scene. Oh, HB, that is amazing. How gentlemanly of the President. What was wrong with William? Or, Harry, but mostly William? That was akward jenny. William acted as if Kate didn’t exist. She’s not Harry’s girl, so, yes, it was William’s fault. At least William could have pul his arm around her waist to make her feel included. The Obamas looked so intimate & affectionate towards each other without actually touching. You could just feel the love & respect they have for each other by just looking at them. As for W+K they look like strangers & don’t seem like a couple. I only see a nice interaction between Obama and Kate nothing else. Because it’s not like William and Harry had their own umbrellas. But I agree that Kate looked out of place and Obama’s gesture probably made her feel included. Look again, you can see how the President shakes hands, manages to still hold the umbrella over Michelle then clearly tells Kate to come in under the umbrella, too. William even says at the beginning “sorry for the weather” (and didn’t bring a brolly). Then some confusion about where to stand Kate fleeing to William’s side then a cut and they go in. This isn’t the first time that William has disrespected or ignored Kate in public. Harry used to point out William’s slights to his wife. But it seems that Harry doesn’t do that anymore and doesn’t publicly even engage with Kate. Harry wisely keeps out of it. Hyacinth, I think it was an awkward moment. If my husband treated me like that in front of guests, or when we were alone, he’d be the recipient of me reading him the riot act. Of course in this particular situation, Kate would have had to do that once the Presidential guests were gone.. I wonder if she has the gumption to do so. Thanks for posting this so fast and really sorry about the horrible email that someone sent. This blog is always informative, your posts critical but objective, anyone who’s been following the Cambridges and aware of the work other royals do and the dishonest KP wheels outs to cover knows there merit to what you say. You are fair and don’t slate or give praise to any Royal where it’s not warranted and have changed your views on where behaviours have changed or knowledge surfaces that is contrary to what’s already, for example with Harry. You try and make sure people aren’t mean but rather critical and you constantly keep holding out hope that Kate will get better and when she’s done well you have said so. If the Cambridges didn’t give people reason to be dissatisfied the blog won’t be frequented or the press also (now that they’re over it) comment unfavourably. Long time Royal commentators and even Royal courtiers are unhappy about William and they are the ones have coiled Kate ‘pricky princess’. You are funny, you can be objective, you are support of royals people slate because of PR to Kate, you cover not only working royals who are also moms, so no excuses here, but royals most of us have not heard of. You ask valid questions, you tell more about the charities and patrons that Kate’s name is associated with more than she has in the 5years she’s been a duchess or years as patron of some of them. You cover more than fashion and help us get more substance from Kate appearances. and you don’t just called out Kate if she’s letting us down but William too for the part he has to play in this. Does anyone know if Prince William met anyone in a position similar to Obama as a child? I think this is good for George, he’ll know that the world is not only is parents being protective of him. Also I notice even George’s nighttime clothing is colour-coded. Maybe blue is his favourite colour but I doubt he asked his parents to add his name to his clothing. I don’t understand Mri what is wrong with Thomas the tank engine pjs. I always buy colourful pjs for my nieces or personalized ones for Christmas. Nothing is wrong with wearing colour but there’s no variation to what he wears. It’s like blue is his signature style or something. I think wearing different colours makes the colour of your eyes stand out. For example, I have brought a top with green in it to bring out my nieces green eyes whilst her sister has a blue top to bring out her blue eyes. I just read an article saying that Charlotte’s robe is like George’s but in pink. I don’t like the idea of colour-coding children unless they are twins and hard to tell apart. It’s fine if it’s a coincidence but they have been their signature colour so often that they are defined with it. The color coding sounds like my sister-in-law. My in-laws had boys, so when my niece was born, they acted like the Second Coming had happened. My niece is a bit older than my son. She is only allowed to wear pink, play with girls, and isn’t allowed near boys except my son and her baby brother. I liked seeing inside KP. However as it was put it does look like a hotel lobby. I find it strange there are no personal family photos and surely William would want his mementos up as well as new photos of his own little family. I like the kiss between Michelle Obama on the cheek with Harry. It shows a friendly touch between them. William does not look at ease in his own home. Also his smiles look forced and make me feel uncomfortable. I like the posture of Michelle. Apart from when Kate is getting down to George’s level, the posture and body language say I am insecure and do not know what I am doing. George is cute in his pajamas’s and dressing gown. I doubt George is in the loop as to who the POTUS is but it is good to see Barrack interacting with George. It does look a bit staged after Mia and the handbag. George looks more natural there rather than in the photo the other day, where he looked scared of what was going on. Maybe the bright lights confused him. *Barack. It was an unintentional error. Howdy folks, the DM had an article on the photos and furnishings in the room. As KMR noticed, no one from the BRF is included. Ooops, there is one picture of Diana and the boys. Gee, you are living in a palace and can’t be bothered to have a picture of any of the living members of your family who are responsible for your posh digs. Hmmmmm, what does that say about you? Funny enough they’re all commercially available picture, even shots of Kate from Peter Philips’ wedding. I think the real photos were changed out. William IS that paranoid. The more I look at the photos the more I don’t like the belt on Kate’s dress. It hits her in a strange spot and because she doesn’t stand up straight in some photos she looks pregnant. A friend on my Facebook page that doesn’t follow KM even started a thread that Kate is pregnant. I think it’s funny. I still love the color print of the dress though. I would love to know what the 22 rooms in KP are. What could they be? How many rooms does a person need? Wish we could see a floor plan! I saw an interior decor site which had a floor plan from when Princess Margaret(sp?) acquired the Apartment 1A. I do not know how much it has changed over the years. Perhaps, ArtHistorian has the answer. Sadly, I cannot help you on this issue. i have no idea of what their appartment looked like when Margret lived there. – I loved the photo of George shaking hands with the president and thought he looked darling in his jammies and dressing gown (which to me didn’t seem out of the ordinary). I can understand why they had him stay up past his bedtime for this encounter, even though, admittedly, he couldn’t be aware of its significance. I also thought William’s smile in that photo seemed totally natural, as if he were entirely involved in the moment. – The umbrella episode in the video: since the hosts came out of the house without any umbrellas or rain gear and everyone posed for the picture immediately afterwards, I didn’t interpret the scene as demonstrating a lack of care on William’s part. Perhaps the rain was just letting up, or, for British sensibilities, didn’t seem to rise to the umbrella-worthy level. Kate seems to indicate she didn’t need shelter. – Kate’s hands clasped in front of her body remind me so much of my elegant and refined mother-in-law, who was in all ways a model of decorum (to which I never measured up, but that’s another story 🙂 ). It’s interesting to me that what I associate with “ladylike” is seen by most here as “crotch-clutching”! I wish she’d lose the slouch, though. -I always enjoy reading the teeth-gnashing and frothing by the press who have been excluded. I just don’t think William cares. And I think it’s for parents to decide how much exposure is right for their children. It’s doubtful that William will manage to put the British press out of business so I do hope he intends on keeping his nose clean for the rest of his life, because when he doesn’t, after his terrible treatment of them, they will not hesitate to run it front-page news. One more photographer of your own country, so that the British papers, when they run the photo, keep in in the country, would have killed no one, nor ruined any privacy. Constance, William behaves like a dork. He is oozing the upper class thinking that manners are for the lesser people. Sorry, but the bloke is a blistering, reactionary, public school nincompoop with no idea of his station in life. This blog has definitely opened my eyes to William’s shortcomings in fulfilling expectations and duties. However, I leave it up to the parents’ judgement about the right amount of public/press exposure for their children. Poor Prince George . Not only did he stay up past his bedtime I bet he had to take another royal bath and change out of the night clothes he was in. After all he did touch another human being and sit on a dusty hourse that was taken out of storage for show. Poor little guy. So, if George could be hauled down to KP from Anmer to meet the president (which is fine–if Victoria had done it with Estelle, I would have been cool with that), why couldn’t Kate and William have brought him down so Kate could attend the Irish Guards event last month? We at this blog know the justifications KP gave before the excuse of the children was hauled out, but here’s another example of why that latter one doesn’t hold water. Frankly every time Kate is trotted out, she wearing a new outfit now. Perhaps it might be cheaper to keep her home (like she wants to, evidently)? WK are totally unimpressive and blah next to the Obamas. Good point. Is it expected that Kate have a new outfit each time she is photographed. She must have built a large wardrobe by now with something suitable to host guests for what was an informal dinner at home. There seem to be different expectations for men and women! Nope. That’s her decision. Justified by people who believe she can’t do her job without being a fashion plate. Ah yes, ‘red carpet fever’; very dry observation from Anne. I became quite weary from all the India tour outfits, many of which are unlikely to be worn again. No-one would begrudge Kate augmenting an existing wardrobe given the role, but that surely needs to be sensitively balanced against current UK austerity measures in play. It reveals that Kate sees her role as primarily decorative. It is a pity that her children cannot have a different outfit or two. Children’s clothes need not cost a lot but I would have thought that clothing a child is important. You spelled Barack Obama’s name incorrectly. Barack does not have a double r.
Why was Kate clapping when George was rocking on the horse, his look is so great! They where so true that Kate only decorates with beige, what else is true? I have to take exception to everyone who says there was one photographer. There were at least two inside. Pete Souza was there from the White House and Chris Jackson was also there. There are photos on other sites with a Getty banner and underneath show CJ’s name. When I really looked at the group picture, it looked to me like two photos were taken. One was closer in than the other. They cut Kate out of the farther away photo and pasted her into the closer one. She just looks so small compared to everyone else. She looks like she isn’t to the same scale as the others. This has nothing to do with the Obama visit so pls feel free to move /delete if necessary, but I got to thinking about ‘Whatever Work Means’ earlier so thought I’d post and see if you guys agree? I was thinking ‘if I were Kate’ how on earth I’d cope with the obvious considerable amount of diet, exercise, hair treatments, teeth appointments, Botox etc she goes through on a daily basis in order to look the way she does. Now I try to keep myself fairly tidy but there is no way I could keep up that momentum and it got me thinking – what if that (to her) is ‘working’? Is it possible that she feels that is her primary role? To look good? She’s got people to do her research, appointments, paperwork, but no one except her can hit the treadmill or diet herself to nothingness. And she’s obv putting the hours in! Now this isn’t a defense of her at all, I was just curious as to how she would view her job compared to how we view it. It’s fairly obv she sees herself more ‘Victoria’s Secret’ than ‘Crown Princess Victoria’ and to her working is looking good for the camera rather than the charitable sector. Whilst it’s great that (to her) she has the work ethic of Karly Kloss and whilst I couldn’t do it it’s maybe time someone got the Princess book out again and started on chapter 2! Then I started thinking about Will and his relationship with the media. Is it all about image to him also? Is this why he limits how the kids are seen and frowns when questioned about his work ethic, and that of his wife? If ‘work’ to them is all about image and pap shots then it would explain a few things, most noticeably why they think a 30min visit to anywhere is enough. They probably think that showing up and hearing the clicks is enough, the culmination of a long day getting prepped and primped and trying on shoes. I hope this makes sense, I just can’t account for their behaviour and their hostility when called out for it other than to reckon they REALLY DO BELIEVE they work lots – even if, to us, their ‘work’ is what we do whilst getting ready for the real thing! Love to hear your thoughts! You are probably right. When I was in my early twenties I had an eating disorder. During that time it felt like all of my energy went to keeping my weight down and my looks overall. Also I have been unemployed, when the daily structure which work gave me was removed, it felt like I didn’t manage to do anything. Even the smallest little task was overwhelming. My point is Kate has never held a proper job, she doesn’t know what structure work give to your life. Her days are without any proper structure. What amount of work that she goes through. She looked fairly thrown together, if you ak me, for the visit from the POTUS and FLOTUS. Even in the photo from the Daily Mail, where she is seated next to Michelle, you see how sloppy Kate is. She apparently doesn’t even smooth her dress down in the back before she sits. I would have loved a photo from the behind once she stood up. Creases, creases everywhere! I don’t see work from this woman at all. In preparing for engagements or actually going out to events . She is workless and clueless. Boy is Jason and the PR on overdrive this week. Damage control for India/Bhutan trip and how lack luster is was. The expense to the taxpayers and Kate’s wardrobe and accessories. I really do not like how George is brought out for display. Granted we do want to see more of George and Charlotte. Yet I see this as a cheap PR tactic for the Cambridge Family. I couldn’t see the pictures on the piano. Yet if they are pictures that are just of Diana, WK, and the Middleton’s and non of the Windsor’s real cheap shot there. Remember don’t bite the hand that feeds you Will and Kate. OMG! How many lampshades does she need in one only room??? This will probably be an unpopular opinion, but I found the PG pics to be a really obvious PR ploy. And personally, I wouldn’t have dressed my son like Hugh Hefner to meet a President. George is a cute kid, but he looked surly and like he’s not used to meeting people outside his bubble. I don’t know why the monogrammed robe and slippers bother me so much, but I think it’s because it seems pretentious for a small child and very Little Lord Fauntleroy. Not surprised by Kate’s bland, beige decorating style. What a massive waste of money. I’m pretty disgusted, frankly. I am really disgusted with W.K. for using their son to get positive feedback! Can anyone tell me if the media criticizing the parents for exploiting the child? Hi all, sorry to be late to the party but I’ve been out of town for the weekend. The decor of this room was rather what I expected, not royal but an upper middle class look that I’m sure is modeled after the Middleton style of design. Although the Lucite table has to go, it looks so out of place and imo rather ridiculous. Secondly, pap shots in the picture frames?? Really?! Not a huge fan of this dress, imo it swamps the Duchess’ tiny frame and the belt does it no favors. Personally, I would have stuck with just the earrings and taken off the necklace. After the colorful clothes she wore in India and Bhutan I just knew that once she got back home she’d revert back to boring, unflattering styles that she been wearing the last few years. Big sigh! I am getting to a point now where I can hardly look at Kate in either photos or videos due to her horrible posture! Thank you KMR from curing me from whatever it was that puzzled me and annoyed me about Kate Middleton. I am so over this couple. Nevertheless I will cheep in my point of view. Obamas exceeded my expectation with the elegance, impeccable manners and beaming personalities. Thru, that Michelle exposed a bit too much skin, while sitting on the sofa but at least we could admire her superbly exfoliated, shiny skin( unless it was oil, in that instance I feel sorry for the sofa). Regarding Gorges presence during the meeting with Obamas is puzzling to me. It reminds me situations when people start showing the picture of their children and just don’t get it that nobody is interested in more than maybe one. Here, president of United States is kindling in front of the child, potential king of Great Britain and giving him respect. Did he forgot about American Revolution and the “other” king Gorge or was he put in situation so meticulously arranged that he had little choice to avoid. Seeing Gorge in night cloths was the other disrespectful element of this situation not only for the president but also for the viewers. Although people crave for more pictures of royal children, showing them in night gains was in poor taste. Showing the child to visitors playing with the gifted by them toy, was another foot in the mouth. Loved this visit, but I’m a fan of POTUS and FLOTUS and Harry. Although, what in the world was going on with Harry’s pants? I wonder KMR, could your server have also missed out on sending some subscription emails? I didn’t get at least three? I’ll subscribe again. Some lightness about Prince Harry being cropped out of pics if anyone wants a laugh. George is a little peach, but something about the way they dress him and style his hair reminds me of Richie Rich from the old comics! After many years, has no one gently remind Mrs. Obama to put her legs and feet together as much as possible when taking posing for pictures? Maybe Mrs. Obama has some physical issue that her legs cannot be close together. I do give the Duchess credit for doing this. Well, that’s your opinion. I understand. Have a good day.